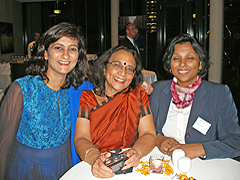 The evening before the fourth Hanseatic India Colloquium. 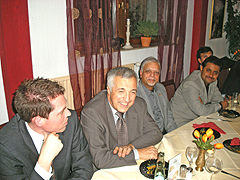 The speakers and chairpersons were invited by the organisers for a dinner. 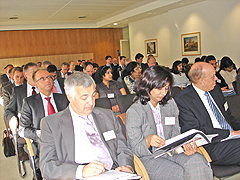 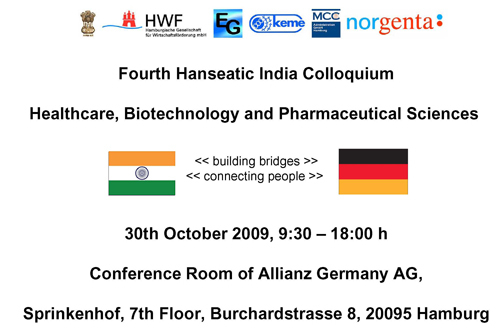 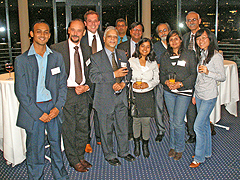 On Friday, 30 October 2009, the fourth Hanseatic India Colloquium started with the Opening Session, chaired by Mr. Steffen Thormann, Project Manager at the Hamburg Business Development Cooperation (HWF). 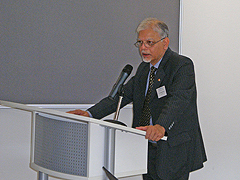 The Honourable Consul General of India in Hamburg, Dr. Vinod Kumar, presented the opening address. 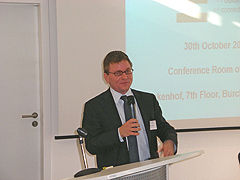 Mr. Bernd Reinert, State Secretary, Ministry of Science & Research of Free and Hanseatic City of Hamburg, gave the welcome address. 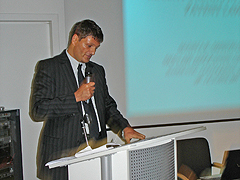 Dr. Amal Mukhopadhyay, Founder and Director, ELGA Biotech, Hamburg, and convenor of the Colloquium, was the chairman of the first session on Biotechnology and Drug Development. 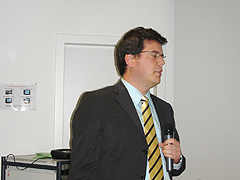 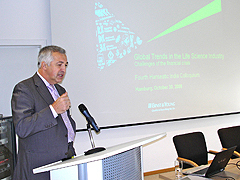 Dr. Siegfried Bialojan from Ernst & Young, Mannheim, gave an overview of global trends in the Life Sciences Industry. 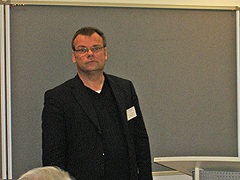 Dr. Jens Würthner from GlaxoSmithKline, Stevenage, UK, spoke about the opportunities and challenges in emerging markets and developing countries. 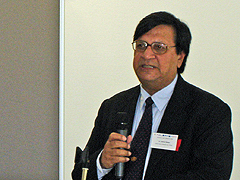 Dr.Ashok Rattan, CEO, Fortis Clinical Research Ltd., Faridabad (Haryana) in INDIA described how India can help with multi-source pharmaceutical products. 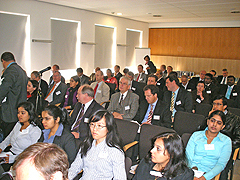 A view of the audience Mr. Sisir Gupta, COO at Venus Pharma GmbH in Werne, Germany, and Chandigarh, India, gave a presentation on generic formulation development: a Germany-India case study. 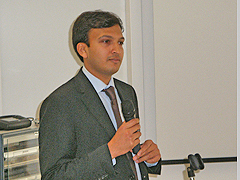 Mr. Michael Anthony, Allianz SE in Munich gave a special lecture on a pilot project of Allianz in India. 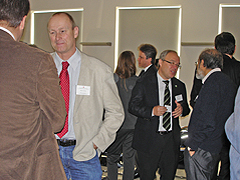 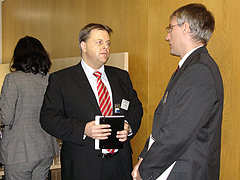 The lunch-break gave the opportunity for a lot of interesting discussions. 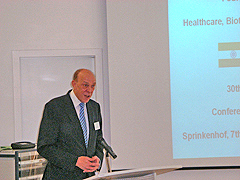 Prof Dr. Oliver Rentzsch, CEO Medregio in Lübeck, was the chairman of Session II on Phyto-Medicine. 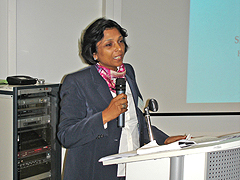 Dr. Sangeeta Banerji, Research Associate of Plantachem, Berlin, described the importance of Indian medicinal plants in drug development. 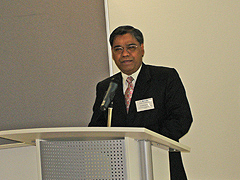 Dr. Mrutyunjay Suar, Director & Head, KIIT School of Biotechnology, Bhubaneswar, India, gave an insight into the future prospects of herbal biotechnology. 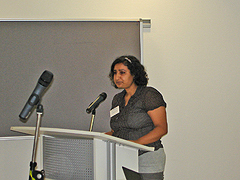 Mrs. Anuradha Acharya, Founder & CEO, Ocimum Biosolutions, Hyderabad, chaired Session III on Technology Cooperation in R&D. 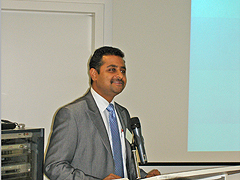 Mr. Sanjay Bettadpura, Chief Business Development Officer, Polyclone Bioservices Pvt. 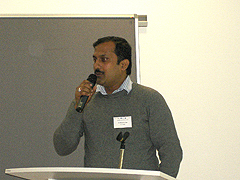 Ltd., Bangalore, India, presented partnering models for effective molecular assay design and validation. 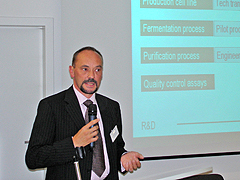 Dr. Michael Piontek, Managing Director of ARTES Biotechnology, Langenfeld, described Indo-German cooperation in technology transfer in the field of biosimilars. 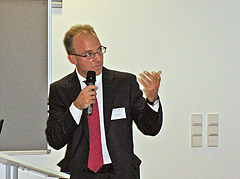 Dr. Klaus Maleck, CFO, Evotec, Hamburg, gave an insight into the benefit of the combination of European and Indian research groups at Evotec. 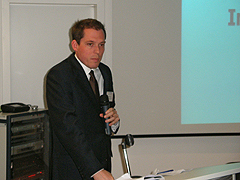 Mr. Florian Grabow, Werum Software & Systems, Lüneburg, reported on their experiences in India with respect to bringing pharmaceutical compliance to pharmaceutical companies. 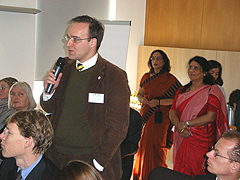 Talking and networking Dr. Thomas Kolzau, Head of Business Development, IPB AG in Hamburg, was the chairman of Session IV on intellectual property and its relevance to Indo-European business. 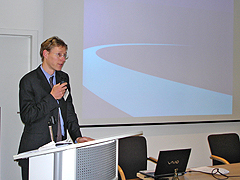 A view of the audience Dr. Ralf D. Kirsch, Biologist and Patent Attorney, GLAWE DELFS MOLL, Hamburg, gave an insight into the recent trends in European patenting and the relevance to Indian applicants. 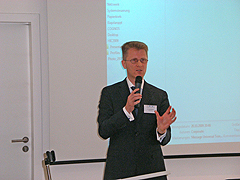 Mr. Hans Kuhn, Head of Life Science Projects, NORGENTA, contributing to the discussion. 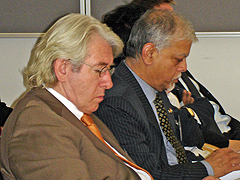 Co-organizers of the Colloquium, Mr. Dieter Grützmacher and Dr. Amal K. Mukhopadhyay. 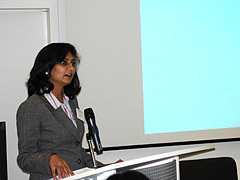 Mrs. Sunita Sreedharan, Patent Attorney, Chief Executive Officer, SKS Law Associates, New Delhi, spoke about recent trends in the Indian patent law. 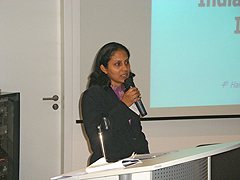 Mrs. Viveka Roychowdhury, Editorial Head, Express Pharma, Indian Express Newspapers (Mumbai) Ltd., Mumbai, gave a lecture on the role of media in the growth of Life Sciences Industry in India. 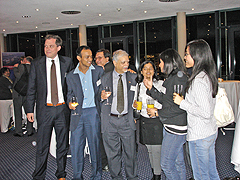 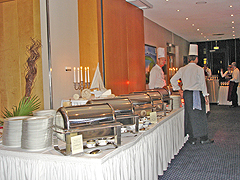 Finally the fourth Hanseatic India Colloquium came to a happy end at the Hotel Hafen Hamburg... ...with an excellent meal.